Psiri Athens: Psiri is an old neighbourhood of Athens located north-west of Monastiraki. The area consists of many old houses most of which were deserted and ruined. However, over the years, Psiri has changed a lot. Some of the neoclassical buildings have been restored and a lot of trendy bars and shops have opened. 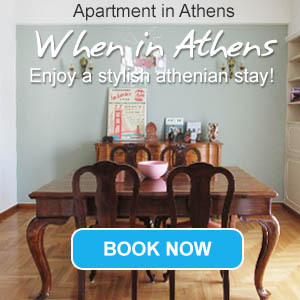 Today, it attracts many young Athenians who enjoy the blend of traditional and modern character of the area. Narrow streets which are bordered with picturesque taverns and cozy cafes and bars as well as nice shops with cheap products. Restaurants with live Greek music receive a great number of people, especially during the weekends. Psiri is not so popular among tourists but it is an excellent choice for a night out in the centre of Athens. It is found really close to Monastiraki and Plaka.